The new 15-inch MacBook Pro now has an integrated battery. This new battery will give users up to 7 hours of battery life with over 1,000 recharge cycles. They say a typical notebook user would be able to go about 5 years without having to get a battery replacement. It is also losing the ExpressCard slot but gaining an SD card slot. The removal of the ExpressCard slot in the 15-inch MacBook Pro is a smart idea, very few people used the ExpressCard slot and an SD card slot is going to be used much more frequently by customers. This is the fastest notebook they have ever sold, with up to 3.06GHz Intel Core 2 Duo processor and 6MB of L2 cache, up to 8GB of DDR3 memory, and up to 500GB hard drive or up to 256GB SSD this thing is a screamer. The pricing has changed a bit, the entry level 15-inch MacBook Pro is now $1,699, which is $300 cheaper than the previous model. The 17-inch MacBook Pro, now at $2,499, is seeing a bump in specs but still has the ExpressCard slot. The 13-inch MacBook is now being called MacBook Pro. It too has an integrated battery with up to 7 hours of battery life and 1,000 recharge cycles. It also supports up to 8GB of memory, up to 500GB hard drive or up to 256GB SSD. The backlit keyboard is now standard on all 13-inch models and now has an SD card slot and FireWire 800. All this starting at $1199, $100 less than the MacBook it replaces. The MacBook Air is also receiving some speed bumps and now starts at just $1,499. Lower prices on all of their notebooks is going to be a lot easier on customers and will undoubtedly help keep Mac sales up. All of these updates to the MacBook family are available now. There isn’t anything new with Snow Leopard, instead just confirmations on what we’ve already known or at least assumed. Finder has been completely rewritten in cocoa. With this rewrite they been able to add some useful features to it, put back from trash, enhanced icon previews, a new services menu, faster icon drawing, and more. None of these are going to blow anyone away by themselves but when you put them all together you get something that should really impress. Expose is now built into the dock, clicking and holding on an icon in the dock will show you all the windows open from that application. Installing Snow Leopard is 45% faster than the Leopard installation and when you upgrade to Snow Leopard you get back about 6GB of disk space. A great change of pace from the usual drop in spare hard drive space with each new OS upgrade. QuickTime X (pronounced “QuickTime ten”) is now official, it is getting a new icon, a modern foundation, hardware acceleration, ColorSync, and HTTP streaming. The user interface is exactly what we’ve seen in screenshots around the web, when you start playing a video the controls and title bar fade away until you scroll over the window again. Trimming sections of your video is much easier and is done similar to iMovie. Sharing is built right in, allowing you to upload to YouTube or MobileMe right from the app. Microsoft Exchange is fully integrated into Mail, iCal, and Address Book. Snow Leopard will be available for all Intel based Macs, $29 for Leopard users, $49 for a family pack. But, Tiger users will have to shell out $169 for a Snow Leopard and iLife box set. 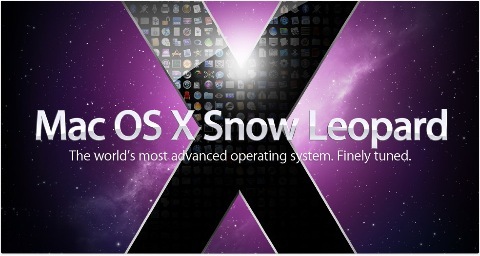 Snow Leopard will ship in September (regarding my prediction, summer officially ends on September 22). 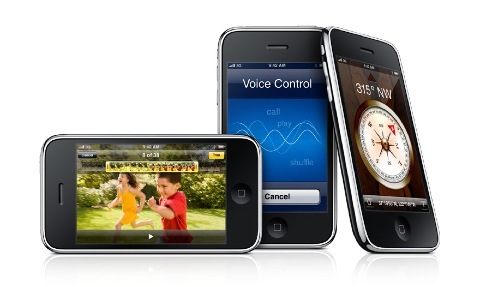 AT&T will not be supporting MMS at the launch of iPhone OS 3.0, they won’t be ready until later this summer. When this was announced at the keynote there was a mixture of laughter and groaning heard from the audience. I did my own complaining at home, but it turns out that AT&T went through and opted each iPhone user out of MMS, manually, so that iPhone 3.0 beta testers couldn’t use MMS, they now have to go back through and turn all of those opt outs off. It has been confirmed that OS 3.0 users will be able to purchase TV shows, music videos, audiobooks, and rent and purchase movies right from your the device. iTunes U is now integrated into the iTunes app as well. Tethering is now official, you will be able to share your iPhone’s internet connection with your computer over USB or Bluetooth. But again, AT&T will not be supporting this on launch. It turns out that this will in fact be coming later but the announcement isn’t ready yet. Word on the street is that AT&T is readying a $70 unlimited data and tethering plan, compared to the current $30 unlimited data plan, for customers who want to tether. Autofill is now part of Safari, allowing you to easily fill in web forms without having to type out your username and passwords. A new MobileMe feature called “Find My iPhone” is being launched, it lets iPhone users see the location of their lost phone on a map. You can also send your phone messages to display or have your phone play a sound, this alert sound will play even if you left your phone in silent mode. If your phone is truly lost you can send it a remote wipe command, erasing all of the data on the phone. OS 3.0 will be free for all iPhone users and $9.95 for all iPod touch users. Available worldwide June 17. TomTom wasn’t the only developer that talked about their application on stage, but they stood out as having arguably the most interesting and exciting demo of them all. The navigation application has an easy to use interface, it let’s you choose your destination from your iPhone’s built in address book contacts. The app can be viewed in both landscape and portrait mode, and has an optional TomTom car kit. 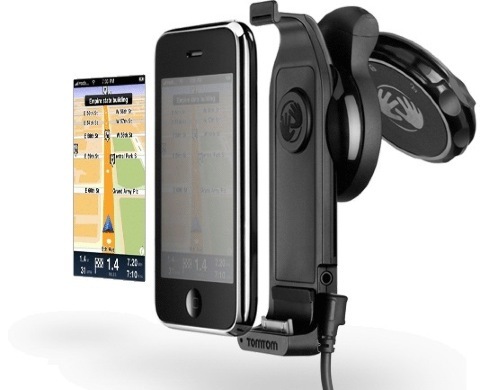 The car kit secures your iPhone to either your windshield or your dashboard holding your iPhone in either orientation. Using OS 3.0’s new dock connector features the car kit can actually enhance your accuracy of the GPS. The kit also allows you to do hands free calling and it will play your music over your car stereo. I have a good feeling that TomTom will make a lot of money with this car kit, and even more on the app itself. The “S” stands for speed. The new iPhone 3GS has the same design as the iPhone 3G, all of the improvements are under the hood. Loading applications and web pages are about 2 times faster on the new device, most likely the culprit of a faster processor and larger amount of memory. The 3GS supports 7.2 Mbps HSDPA and has a 3MP autofocus camera. You can choose fine tune the focus by tapping on the object you want the iPhone to focus on. The new camera is, just like the rumors said, capable of recording video, 30 frames per second video at 640×480 with audio, and just like the still camera has auto focus, auto white balance, and auto exposure. But Apple didn’t stop there, you can even trim your video and share it to MobileMe, YouTube, MMS, or email it. A long missing feature from the iPhone is voice dialing, it is now coming to the iPhone 3GS in the form of “Voice Control.” All you do is hold down the home button for a couple of seconds and a new user interface pops up with a wave form across the screen. Make commands like “call james,” “play playlist workout,” or “play more music like this.” Unsure of what commands you can make? All of your available commands are scrolling through the background behind the waveform. Nike+ is now in the iPhone 3GS, a feature that has been in the iPod touch for almost a year now and finally making it to the iPhone. With all of the these new features Apple has still managed to improve battery life, 9 hours of Wi-Fi internet browsing, 10 hours of video playback, 30 hours of audio playback, 12 hours of 2G talk time, and 5 hours of 3G talk time. The iPhone 3GS will be priced at $199 and $299 for 16GB and 32GB respectively. The current 8GB iPhone 3G will now be sold for $99 starting today and the 16GB iPhone 3G is now priced at $149 (presumably for only a limited time). The iPhone 3GS will be hitting stores on June 19 and you can pre-order it online now. It is a brilliant move to continue to sell the iPhone 3G at $99, not only will it help them get rid of old stock but it will also help them reach a much larger number of customers. Let’s face it, there are only so many people willing to pay $199+ and switch to AT&T for a phone and unless they added a second carrier in the US this really is their only option to increase potential customers. Another note on pricing, if you are currently in a contract or don’t want to sign a 2 year contract with your new iPhone 3GS you are going to have to pay a $200-300 (depending on eligibility) premium on the device. This includes owners of the iPhone 3G, AT&T doesn’t have a cheaper upgrade plan for you. Overall this was a great keynote. I know that some were a little disappointed by the announcements but I really don’t understand why. We got pretty much everything we wanted and more. iPhones are shipping earlier than most of us expected, we finally have a release window for Snow Leopard and great pricing on new notebooks all make for a good keynote in my mind. Update 6/9/09: TomTom has posted a video to their official YouTube channel demoing the upcoming car kit. Oleophobic basically means that the iPhone 3GS’ screen will be resistant to oils, this should make it much easier to clean off the new iPhone compared to the old one, which would often times get covered in oil from your face and fingers after just a few days of regular use. Update 6/10/09: CNET, Engadget, and Gizmodo have all posted MacBook Pro hands on articles. Apple has also posted a knowledge base article about the SD card slot in these recent MacBook Pros saying that you can boot from them. Update 6/10/09: T-Mobile Netherlands has posted both the RAM and processors specs for the new iPhone 3GS on its specifications page. The iPhone 3GS has 256MB of RAM and a 600MHz processor which is exactly what the rumors were stating. Update 6/10/09: AppleInsider is saying that Navigon and TeleNav are also going to be building iPhone apps for the iPhone. Garmin on the other hand has no plans to do so. Ngmoco is saying that they have no plans to release games exclusively for the newly announced iPhone 3GS. Update 6/10/09: Apple’s technical specifications page for Snow Leopard shows that Snow Leopard requires an Intel processor and 1GB of memory. QuickTime H.264 hardware acceleration requires a Mac with a NVIDIA 9400M graphics card, OpenCL requires a NVIDIA Geforce 8600M GT, Geforce 8800 GT, Geforce 8800 GTS, Geforce 9400M, Geforce 9600M GT, Geforce GT 120, Geforce GT 130, ATI Radeon 4850, or Radeon 4870. Update 6/12/09: Michael Flux has posted a Snow Leopard screenshot gallery. Update 6/12/09: Michael Schade says the iPhone 3GS is capable of graphics surpassing the PSP. Update 6/13/09: AnandTech has taken a look at the recent 15-inch MacBook Pro and saw 8 hours of battery life in their tests. This makes the integrated battery look significantly more attractive to heavy users. Update 6/15/09: 9 to 5 Mac is pointing an AT&T PDF saying that AT&T will be offering iPhone users MMS for free with a texting bundle.